One cannot help but wonder, how could someone turn his or her own life and the life of others into a complete mess? Well, mess in the life of Jean Holloway, beautifully played by Naomi Watts, is like an abstract painting she draws all by herself. As she stands aside to watch and study her own creature, she realizes it’s like being addicted to drugs that even rehab won’t be able to help cure. Jean Holloway is a cognitive behavioral therapist. She is married to a handsome man, Michael Holloway and raises a daughter, Dolly, who eventually will find herself confused whether she is a boy or a girl. As she is caught in a stormy marriage and complicated life herself, Jean does something unimaginable which, in the beginning, the viewer will blame her split personality. But as the story unfolds, it appears that Jean’s problem is not split personality that she did not have, but the life she lived as two different people– one who is an authentic married woman, while the other one is a seductive freelance journalist Diane Hart, whose identity she uses to immerse herself into the life of her patients. Jean, as the series begins, goes down to the café to ask for an Americano coffee. That’s where she meets Sidney, a barista and British, whose straightforward looks makes Jean to see herself inside of Sidney’s eyes. She even introduces herself as Diana, a journalist, unmarried and free like a bird. Well, when Jean leaves the café, she gets into her first appointment with Sam, a young man who’s obsessed by a girl and finds too painful to forget. That girl is Sidney, who I just talked about. Her second patient is Claire Rogers, a mother who has been rejected by her own daughter Rebecca. As you may have already figured out, Jean, aka Diane will have an acquaintance as well. But the biggest mystery of Gypsy is who Melissa Saugraves is and why the background story between Jean and the same Melissa is so important. More than that, why Jean chooses to live a double life? Why she decides to have two ways of seeing her patient’s problem? Why the object or the cause of their troubles is the only thing a therapist sees to find the golden middle? As you will ask all those questions and by the time when you reach the middle of the series, you will find Jean on autopilot whose program fails to stop at the right moment. Because Jean herself won’t know how. That will be too clear when the sign of jealousy appears, when instead of helping Sam to become a normal being who Sidney wants him to be, she does everything possible to distance him from the young woman for her own personal reasons. As I try hard not to give away much from Netflix’s new psychosexual thriller about a messed up therapist, there are a few reasons why you should give a chance to the series despite its mixed reviews. As it took me a whole day to watch the entire season, the ten-part of Naomi Watts’ show created by Lisa Rubin and directed by Coky Giedroyc, Victoria Mahoney, Alik Sakharov, Sam Taylor-Johnson and Scott Winant (each two episodes only) , I found it has the same pace defined right from the beginning. 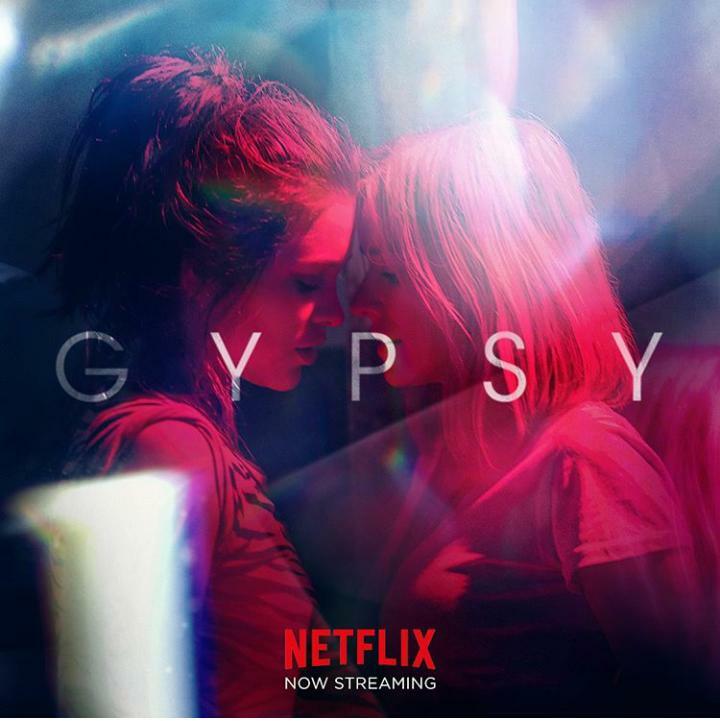 Gypsy is an extremely slow-burning series where everything happens once in a while. It’s mainly based on dialogues, deep and thoughtful lines and sophisticated concept, which I must admit, is not for everyone, if not for many. Naomi Watts as Jean Holloway is mesmerizing. Having “Mulholland Drive” as one of the craziest experience of her life, she again touches the ground of a psycho woman in whose skin Watts feels dangerously comfortable. Acting wise, Naomi Watts delivers, oh yes I am saying it again, a career-defining performance not as someone who you already saw before or knew, but as somebody who you never knew would exist. Her way of seeing Diane or Jean is truly masterpiece. She reads each woman in a way that will scary you. But that happens only because Watts’ acting is like if she was in bodybuilding. Each time she takes a certain exercise to develop the muscle in a way not to look ugly. Once she achieves one target, she moves to the next one. And that next one is Diane Hart, who is a whole different story, you must, I hope, discover after watching Gypsy.